It's hard to know in which direction to go with this because there's just so much to discuss. The casting, the acting, Zach's eyebrows - even the story itself. So, sticking with the school theme, I'm going to give out some grades for the major points of this "movie." 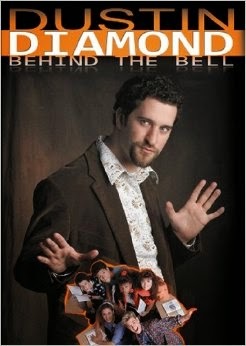 This movie being based off the book Dustin Diamond "wrote," it's obviously not going to be as credible as a more scholarly work like say, VH1's Behind the Music. (Side rant: don't people have more pride than to put their name on something they didn't actually write?) And slapping the word "unauthorized" on the title really shouldn't give you license to just say whatever you want, true or not. But overall, it leads viewers on a nostalgic trip through one of the best shows of my childhood. But even disregarding its supreme (unintentional) campiness and acting (which I will discuss later), this movie is really just bad. Each scene is very short and it's a choppy sequence from one to the next, which then requires obvious dialogue and interactions to compensate for the fact that the characters have not been fully developed. It's about as professionally done as a video Zach and Slater would make for a school class. I imagine it would be really difficult to find younger versions of people who already exist, but considering the fact that acting ability was not a constraint on casting, I think Lifetime could have done a bit better. 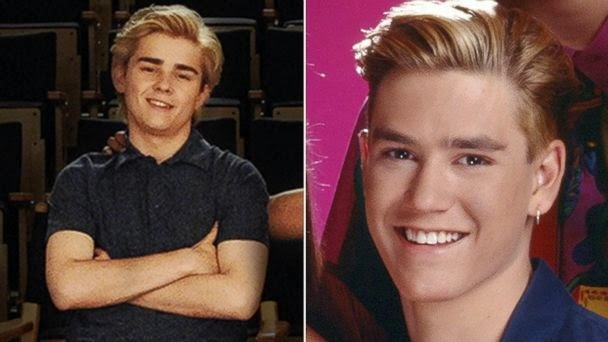 I mean, Lindsay Lohan as Elizabeth Taylor was more believable than the kid they picked to play Mark-Paul Gosselaar (aka Zach Morris). Some of the most hilarious items on this summary of the movie had to do with Zach (notably #5, #23, and #75). The girl who played Lark Voorhies (aka Lisa Turtle) was at least cute, but perhaps only identifiable as her character because she was the only black person. Like, at all. Even including the extras. You'd think a show that created not one, but two interracial couples (errr... make that three, now that the world knows Mark-Paul is part Asian) would have been a little more cognizant of the apparently rich diversity of Bayside High. And all the mullets and cut-off tanks in the world couldn't fool anyone into thinking the kid who played Mario Lopez (aka AC Slater) looked anything like him. Even with him constantly licking his lips like he was LL Cool J and repeatedly calling Mark-Paul "preppy." I appreciated the casting director finding a freakishly tall girl to play Elizabeth Berkley and not pretending Jessie Spano didn't awkwardly tower over AC Slater during slow dances, but a spiral perm does not a transformation make. And while the kid who played Dustin Diamond (aka Screech) actually looked like a dork in real life, he was *cringe* actually cuter than the real Dustin. By quite a bit. So that made it less believable that everyone was mean to him because of course, people are only mean to really ugly people! 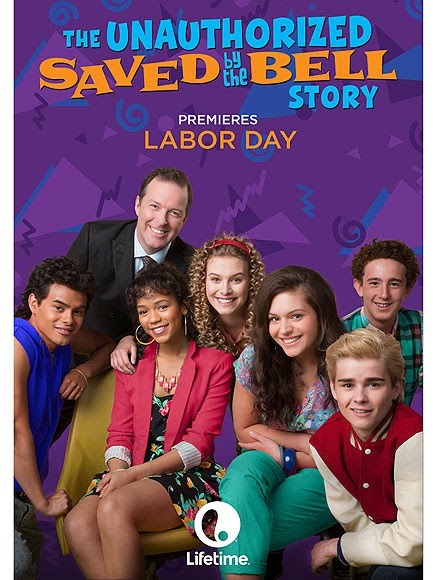 Really, the only actor who actually looked (and sounded) like the person they were supposed to portray was Mr. Belding. Then again, Dennis Haskins recently had a death hoax, so maybe I had just forgotten what he actually looked like. Bringing the entire class' average up was, of course, the curve-wrecker Jessie Spano. As I mentioned above, I wasn't blown away by the casting, but her portrayal of everyone's favorite Saved by the Bell episode, "Jessie is addicted to caffeine pills," made the entire movie worth watching. "I'm so excited! I'm so excited! I'm so... scared!" Final word: Indulgent fan fiction for nostalgic 90's kids.